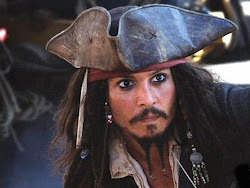 Snippets of Jack: "It's Just A Matter Of Finding A Ship"
"It's Just A Matter Of Finding A Ship"
Over the course of his pirating life Jack Sparrow has commandeered and captained many ships. The Bristish Navy had their fastest ship in the fleet taken by Jack, and another one blown up. And many others unimportant ones stolen i'm sure. "The ship is ours! ".....or not. 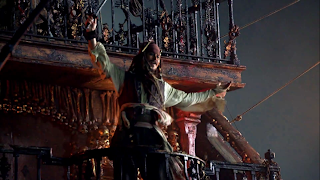 While on board Blackbeard's ship Queen Anne's Revenge; Sparrow staged a mutiny. Just as he thought he had completed his mission, Blackbeard himself came out to the deck and did some really creepy things with his all controlling sword. But Jack apparently got what he wanted through his failed attempt a heroics. 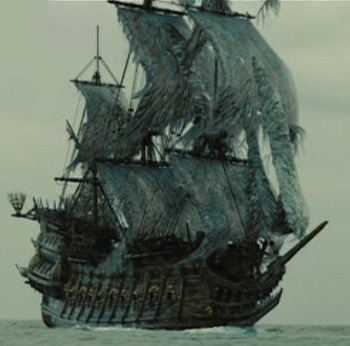 Another ship He fought and beat was Captained by Davy Jones(aka squid face) was The Flying Dutchman. This ship was crewed by man that Jones had "rescued" from death. During the fight for control of this ship Will turner was almost killed, but Jack saved his life while also killing Davy Jones. 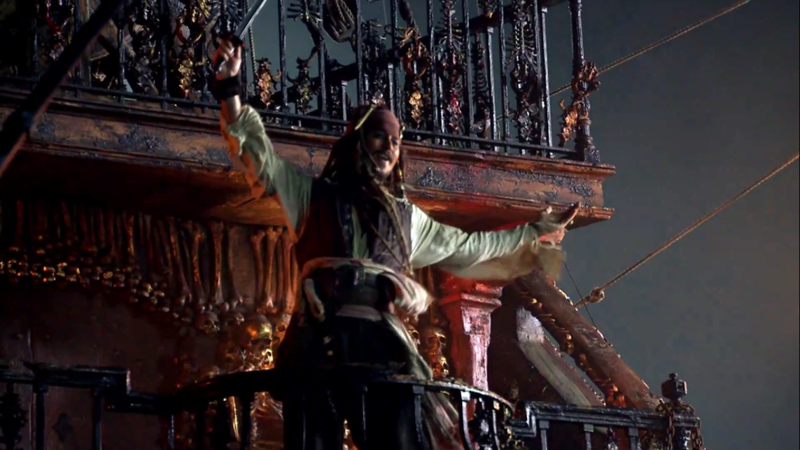 But best of all ships is Jack's beloved Black Pearl. Years ago Jack Captained the Black Pearl with Hector Barbossa as his first mate. Apparently Barbossa is better at mutinies then Jack. He marooned Jack on a deserted Island, and captained the Pearl for many years.However Jack came back, Killed Barbossa and regained control. 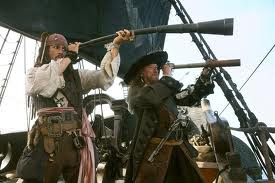 Sparrow and Barbossa fought for control of the Pearl after both of them returned from the dead. Jack won in the end of course. One of Jack's faithful crew members and damsels-in-distress Elizabeth Swann also tried her hand at captaining. While being held captive on Sao Feng's ship the Empress Sao Feng was killed and named her captain of his ship. Soon after, Elizabeth was also elected King of the Brethren Court, And led them along with Jack's help to defeat the fleet of British Navy ships and Lord Cutler Beckett in a battle that resulted in the Navy's ship be blown to pieces.